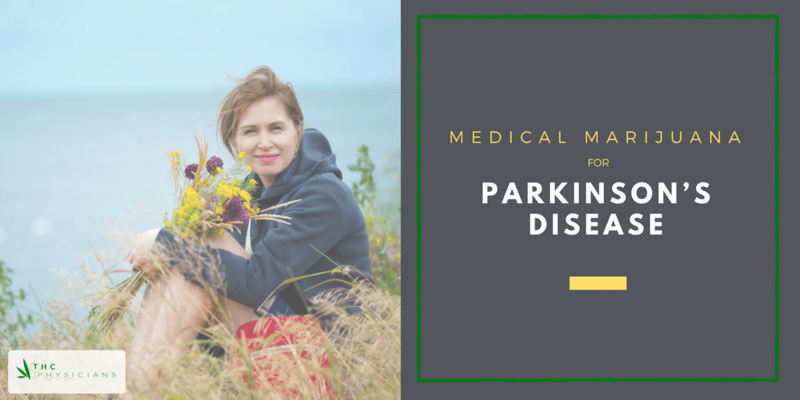 If you or a loved one need relief from the symptoms of Parkinson’s disease, this post highlights the evidence for and against using medical marijuana for treatment. Parkinson’s disease (PD) is a progressive neurodegenerative disorder that affects a person’s movement. It’s the second most common neurological illness in the US. People with PD often develop symptoms slowly over the years ranging from stiffness and rigidity in their limbs to tremors and impaired motor skills. While the cause of Parkinson’s is still unknown and there’s no known cure yet, treatment options can make life more manageable for those living or caring for someone with the disease. Can medical marijuana for Parkinson’s help? Marijuana contains hundreds of different compounds called cannabinoids. Your body naturally creates endocannabinoids, which bind to receptors in your brain and throughout your body. Cannabinoids also bind to these and work in a similar way. Tetrahydrocannabinol (THC), the main cannabinoid, has been studied for its help with pain management and muscle spasms but it’s also responsible for the “high” associated with marijuana. The other popular cannabinoid, cannabidiol (CBD), is the non-psychoactive compound of the cannabis sativa plant. CBDs have been studied for their antioxidant, anti-inflammatory, and neuroprotective nature . In one study, researchers tested the clinical effect of marijuana on motor and non-motor symptoms of PD. They had 22 participants with PD smoke marijuana and then evaluated them 30 minutes later. Patients with PD also suffer from REM sleep behavior disorder (RBD), or nightmares and active behavior during dreaming. Treatment on four PD patients with CBD showed “prompt and substantial reduction in the frequency” of these events . Another study examined whether marijuana could be useful for PD hallucinations or delusions. Six patients with psychotic symptoms received flexible doses of CBD for four weeks in addition to their regular therapy and experienced a significant decrease in psychotic symptoms after CBD treatment . Scientists split up 119 participants with PD in another study and gave them either a placebo, a 75mg dose of CBD, or a 300mg dose of CBD to test marijuana on motor skills and general symptoms, possible neuroprotective effects, and well-being and quality of life. While the researchers didn’t find statistical improvements in motor symptoms or increased health effects, they did find a significant improvement in wellbeing and quality of life in patients with the 300mg per day dose of marijuana . And most importantly: no adverse effects were observed in any of these trials. When researchers compared brain scans of non-marijuana smoking adults with those of 11 healthy regular marijuana users, scientists noticed the marijuana group had lower levels of dopamine . Decreased levels of dopamine made it harder for the group of marijuana smokers to perform tasks testing their cognitive performance and learning and working memory. Since low dopamine levels characterize Parkinson’s, slashing these levels further may make matters worse. However, it has been noted that THC, not CBD, is responsible for lower levels of dopamine . And the participants in these studies were recreational smokers, not taking specific medical marijuana with more CBD and less THC, or a controlled dose. Parkinson’s impairs neurons in the brain and leads to low levels of dopamine. Since it’s often only diagnosed later in life when a substantial amount of degeneration has already occurred, the earlier the diagnosis, the better chances treatment may be able to slow its progression. Stage 1: Mild symptoms that don’t interfere with everyday activities, such as tremors on one side of the body, are apparent. Stage 2: Tremor, rigidity, and other motor symptoms get worse or affect both sides of the body. Walking problems and poor posture may be noticeable. Daily tasks are harder and take longer to complete. Stage 3: It’s common for patients to experience loss of balance, falls, and slowness of movement. Dressing and eating alone may be difficult despite being able to live independently. Stage 4: PD symptoms now interfere with daily life; though standing is possible, walking requires assistance. Patients cannot live alone as they need too much help and monitoring. Stage 5: The most advanced and debilitating symptoms of PD appear: walking or standing becomes impossible so the patient becomes confined to a bed or wheelchair. Psychological symptoms also intensify. Treatment options for Parkinson’s usually include a combination of prescription medications to increase dopamine and possible deep brain stimulation surgery. Medications not only help manage symptoms and make life easier, they also keep complications of PD at bay. According to the U.S. Centers for Disease Control and Prevention (CDC), PD complications make it the 14th most common cause of death in the states. Patients with Parkinson’s have shown positive results with the usage of medical marijuana -- and usually without any of those negative side effects. If you’re interested in trying medical marijuana for PD or are inquiring for a loved one, you should first seek out your local laws to determine the legality of the drug in your state, the types of medicine you can use, where to get it, and how much you need. 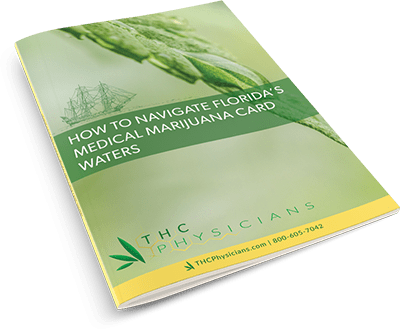 If you are located in Florida, check out THC Physicians for your medical evaluation, which is the first step in getting a Florida Medical Marijuana Card. Medical Marijuana and Parkinson’s: How Can It Help?